Addressing the ceremony, Minister of Agriculture and Rural Development Nguyen Xuan Cuong welcomed the large agricultural project of the group, affirming that it will contribute actively to livestock development. He requested the locality to facilitate the group’s project implementation while developing a safe material zone for the project and addressing pollution caused by the livestock sector. The Minister also urged the Masan Group to focus its resources so as the project will be on schedule, as well as ensure material supply, processing methods and expand consumption markets. According to Nguyen Dang Quang, Chairman of the Board of Directors of the Masan Group, the complex will cost over VND1 trillion (US$44 million) and sit on 10 hectares in the IP. 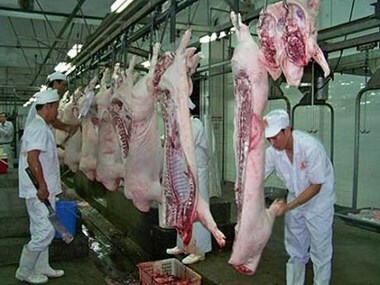 It will have an annual capacity of 140,000 tonnes of pork. The plant will use Danish technology and operate in line with the standards of the US Food and Drugs Administration, Quang said. Nguyen Xuan Dong, Chairman of the provincial People’s Committee said the project is expected to boost the livestock sector of Ha Nam and the surrounding localities, thus contributing to ending small-scale slaughters and ensuring food safety. Ha Nam currently has 720,000 pigs. A planning has been made on pig farming in 30 communes, hoping to supply 500,000 pigs per year for the processing plant by 2025.